This one booklet brochure replaced 10 individual space rental brochures. Before, the separate venue brochures lacked cohesiveness. 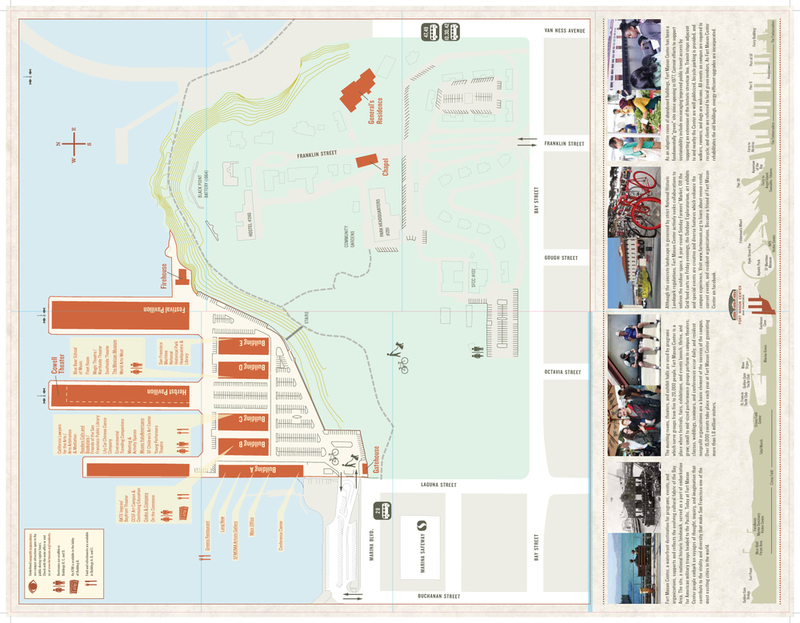 Now, this brochure, made from one sheet of paper, scored, with a simple die-cut down the center, which also folds out to show a map of the campus, clarifies the concept of Fort Mason Center as a non-profit offering space rental in a spectacular setting. 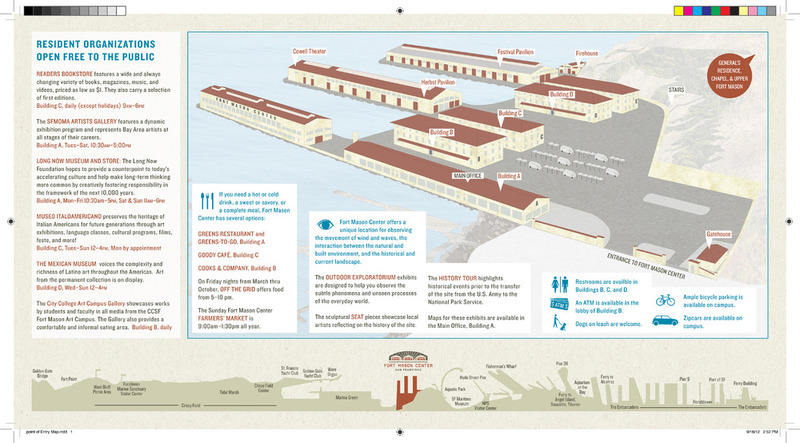 For the casual visitor, a smaller map showing the campus three dimensionally helps to easily understand the uncommon landscape of Fort Mason Center.